"SAY IT WITH ROSES!" ROSARY SUNDAY PILGRIMAGE, 2 OCTOBER, 3:00 P.M.
We hold two Rosary Pilgrimages annually each year. Each pilgrimage features a preached Holy Hour, with an outdoor procession, recitation of the Rosary, and Benediction of the Most Blessed Sacrament. The highlight of the May pilgrimage is the crowning of the statue of Our Lady of Fatima, while the October pilgrimage is all about roses, in this case, Blessed Roses of the Rosary! This lovely tradition goes back to the early Dominican Friars who blessed roses in memory of Mary, the Mystical Rose, she who is "our life, our sweetness, and our hope." These are distributed to the faithful as marks of her favor, to be used in her honor in times of sickness and danger. We nuns continue that tradition, with the October pilgrimage being a special time of the Blessing of the Roses. The pilgims give donations for long-stemmed roses (donated by a local florist), which are blessed by our chaplain during the Holy Hour. 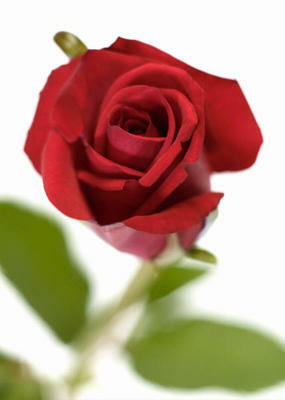 During the year, we distribute Blessed Roses (dried and pressed) to those who request them. Our pilgrimage preacher this year is Fr. Juan-Diego Brunetta, O.P., of St. Mary's Church, New Haven, CT. Fr. Juan-Diego works as a judge and defender of the bond at the marriage tribunal for the Archdiocese of Hartford, CT. He is a longtime friend of our monastery, and first visited here as a student brother in 1997. Father serves as the Northeastern Region’s Religious Promoter for the Dominican Third Order (St. Joseph’s Province), Associate State Chaplain of the Connecticut Knights of Columbus, and Chaplain of the Fr. Michael J. McGivney Council of the Knights of Columbus at St. Mary's Church, New Haven, CT.